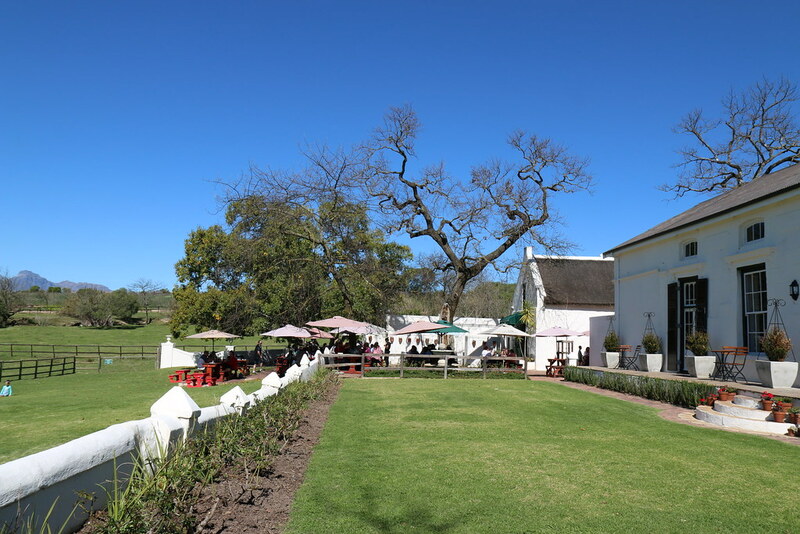 Under Oaks is a Paarl gem! 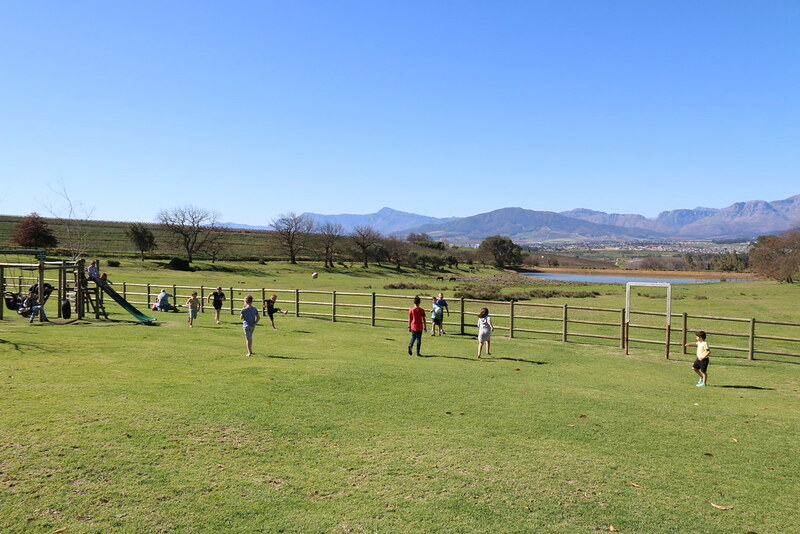 It is a beautiful, child friendly wine estate to visit with the family for wine tasting and delicious pizza. 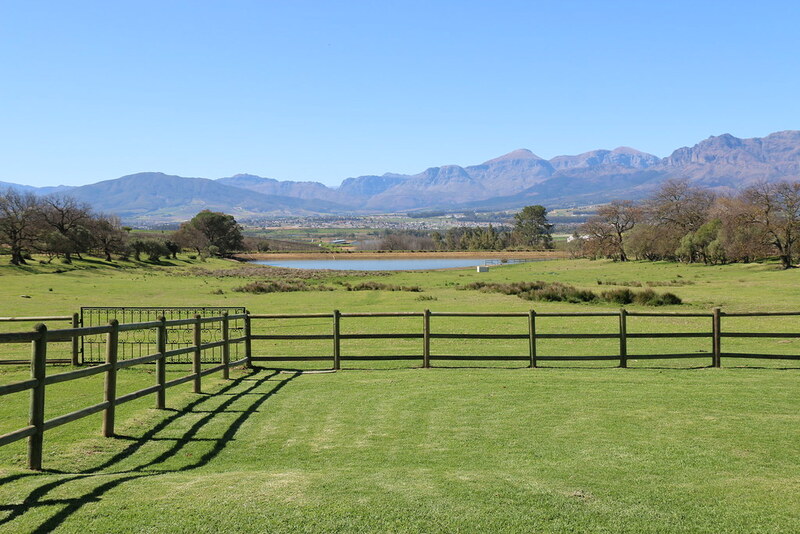 The farm setting has picturesque views for you to savour as you spend a relaxed afternoon with the family at this lovely location. 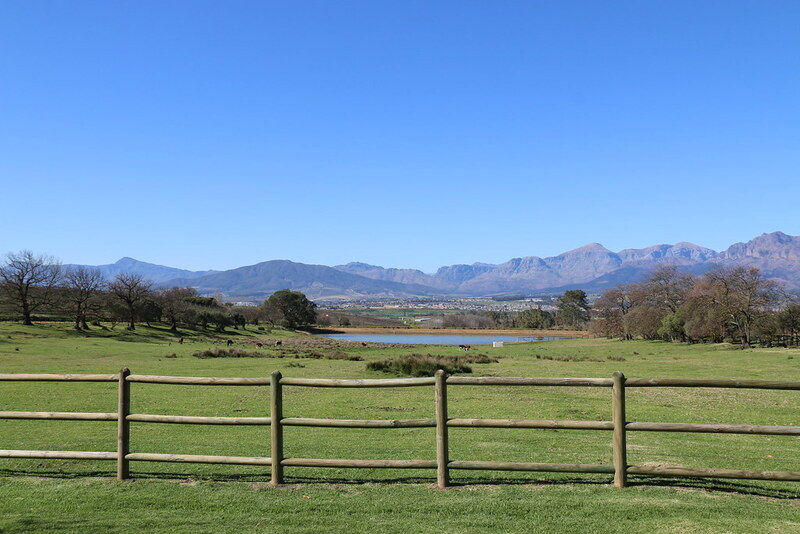 The estate is a working farm, steeped deep in old South African history dating back to 1695. Boutique wines can be tasted in the contemporary style Tasting Room. 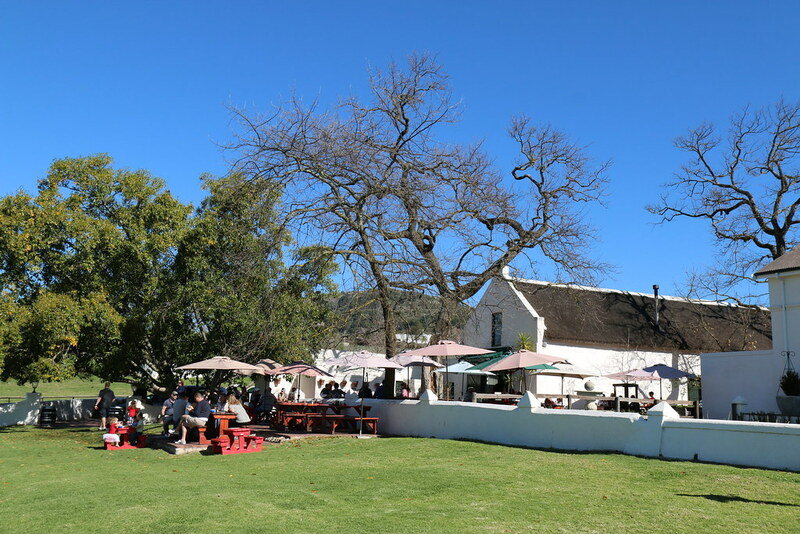 The picturesque, child friendly Pizzeria has tables located under shady oak trees with an open lawn space in front of the restaurant. 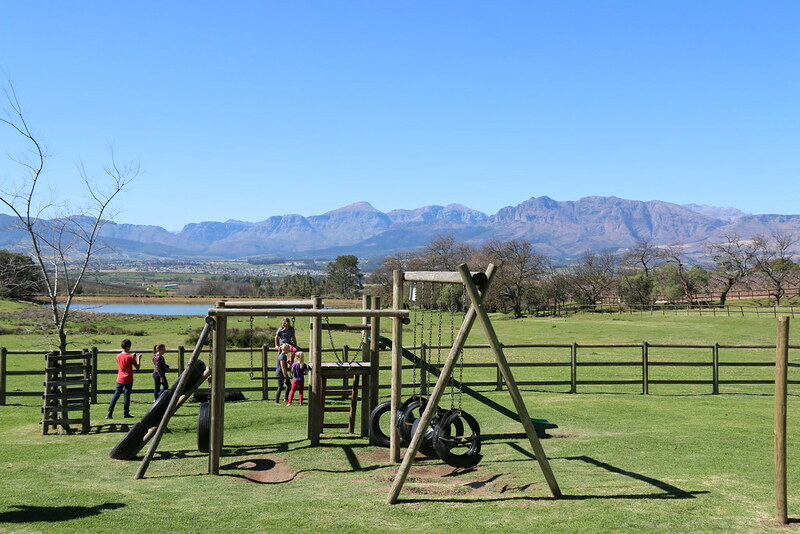 The scenic views complement the tranquil setting adding to the relaxed ambience of this perfect, child friendly restaurant. The thin based, wood-fired pizza’s are delicious and they have Gluten Free and Banting options available too. On the menu they also have a selection of fresh salads and pasta’s made to Italian perfection. 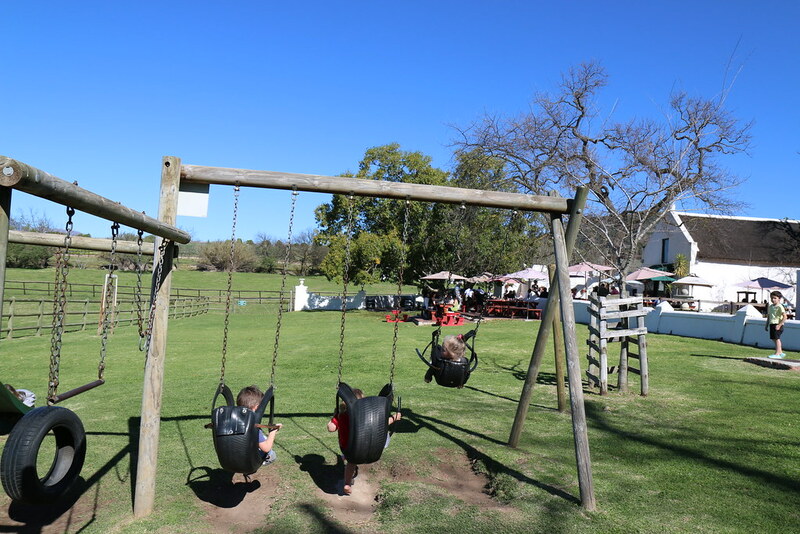 There is a jungle gym, swings and farm animals to keep the little ones entertained watching the cows and horses roam around and plenty of space for them to run, play and just be kids. There is a great family atmosphere and it is ideal for kids of all ages. The pizzeria is popular, I recommend booking and request a table on the lawn if you have kids. My family and I love visiting Under Oaks, it’s a great family outing.